You’ve likely utilized eBay for collectibles, electronics, and possibly even a used car. Did you know that you can also utilize eBay to shop for all-inclusive travel packages? Although it might not be the most reliable place to discover your next international journey, you can pick up some pretty amazing deals around the big name resorts for your next vacation. How about spending just $500 for a two bedroom condo that’s 5 minutes from Walt Disney World? Or booking a VIP experience with one of your favorite bands? That’s all possible on eBay, but you’ll want to take these tips into consideration before you place a bid or buy something now. Ratings are a good thing to have as a seller on eBay and the more feedback you have, the better the sales experience is likely to be. It can be tempting to purchase something from a seller with over 4,000 positive ratings and a 100% feedback rating, but that’s just the first glimpse. 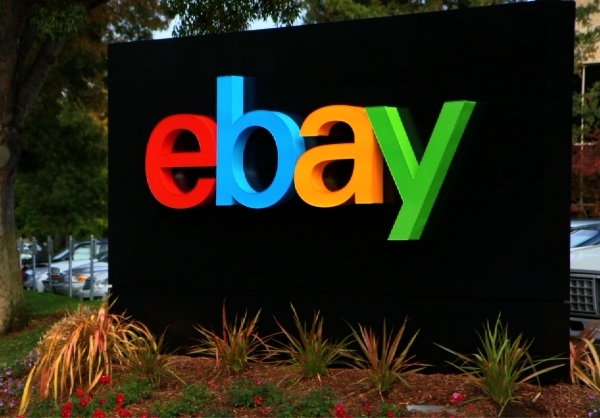 Did you know that ratings can be bought on eBay? A common method of increasing ratings is to sell low-cost listings that are specially designed to influence the ratings percentage. Don’t settle for just the number. Pull up the actual listings, look at previous items that have been sold, and see if they compare to what you’re thinking about purchasing. There are a lot of amazing travel opportunities on eBay right now, but not all of them have good value. Some of them only apply to people above the age of 25 or below the age of 55. Others require specific travel dates. Children are not allowed on some listings either. Go through the entire listing to make sure you can meet all of the stipulations because otherwise you might just find yourself with useless tickets, rooms, or experiences that you’ll have to try to sell to make your money back. #3. What Did That Listing Say? B4 purchasing this item, make sure ur able to fulfill all requirements. Seems like a pretty innocent sentence, but informal text language is an indicator that you’re working with a middleman, not the actual broker of the listing in question. Any professional listing will not include informal abbreviations. It will contain proper language, good grammar, and be virtually mistake free. Normally you’d say it must be mistake free, but if you’ve read the quality of news stories these days, mistakes are becoming more common and socially acceptable in listings. #4. Is It Really All Inclusive? How do you define “all inclusive” for a vacation package? For many people, it means all meals, plane/train tickets, tour fees, entrance fees, the hotel room, show credits, and a small stipend for the room mini-bar. When you look at an eBay listing for an all inclusive package, however, you will find a wide variety of definitions. Most include the plane/train ticket and the hotel room, but you may find that two meals are provided instead of three. You may be staying at a hotel with a spa, but instead of getting a paid massage, you’re welcome to use “free activities,” like being able to run on a treadmill. Make a note of what you actually get and then compare that to the value you’ll get with a purchase. If they don’t match up, don’t create a purchasing contract. #5. Is That a Real Picture? One of the ways sellers can differentiate themselves from similar listings is through the display photograph. You’ll notice that some images are pretty awesome: palm trees, emerald waters, white sandy beaches. There might be an overly attractive couple making out in the waves like in the movie Ten. There are plenty of stock image websites on the internet that allow free commercial images of beachfront scenes that can be highly misleading. If you can, get the resort information first and look up its location independently so you know exactly what to expect. #6. It’s the Last One! There are 3 basic principles to marketing: value, relationship, and scarcity. Shopping on eBay automatically provides value. A strong reputation [or the appearance of one]provides the foundation of a relationship. To create scarcity, you’ll find images that say “this is the last one” or you may see that in the listing description. Thanks to cancellations, insufficient funds, and rejected credit cards, it is very rare for a travel listing to be the very last one available. This is designed to spur you into action, nothing else. You can get a great deal on eBay, but shop carefully, use common sense, and keep these tips in mind so that you can get the best price possible from an honest seller.